Following in the footsteps of this year's first WSOPE bracelet winners, Jackie Glazier, Henrik Johansson secured his place in poker history yesterday after taking down the €1,100 re-entry event. The Swedish grinder was amongst the chip leaders throughout Day 2 and by the time the finale rolled around he was able to assert his dominance over the field and ride on to victory. First of the final nine to fall was Andrei Konopelko when his pocket sevens ran into the pocket jacks of Johansson. An unhelpful 4h 3c Qh 6c Ad board pushed Konopelko towards the cashiers' desk to collect €12,134. With the first elimination taking just 12 hands it looked as though the final table was going to be a swift affair and that expectation was certainly met as a further six players hit the rail with 69 hands. Having come through a whirlwind of eliminations with the chip lead it didn't take long for Johansson to overcome Adrian Torre-Grossa heads-up. Although another 23 hands would take place before the young grinder was able to get his hands on his first bracelet, the whole tournament was brought to a close after Johansson's Th 9s was enough to beat Torre-Grossa's 7c 6s. Indeed, after a 9d 7s 7h flop the pair were more than happy to put all their chips in the middle and as the turn and river produced two aces it was game over for a gallant Torre-Grossa. Following the conclusion of the tournament Johansson was left to pose for pictures and mentally spend his €129,700 prize money whilst the remaining grinders in Event #3 continued their charge for the title. The €5,300 Mixed Max event had initially welcomed 140 players to the felt but by the time Day 2 came to a conclusion just 16 of those remained. Led by Noah Schwartz (262,000) the sweet 16 will return to the felt later today and feature the likes of Shannon Shorr (252,000), James Dempsey (193,500), Dan O'Brien (162,000) and Phil Ivey (90,500). In amongst the fervour of Events #2 and #3 the fourth tournament of the festival sprung into action yesterday with 187 hopefuls looking for success in the €1,650 PLO event. 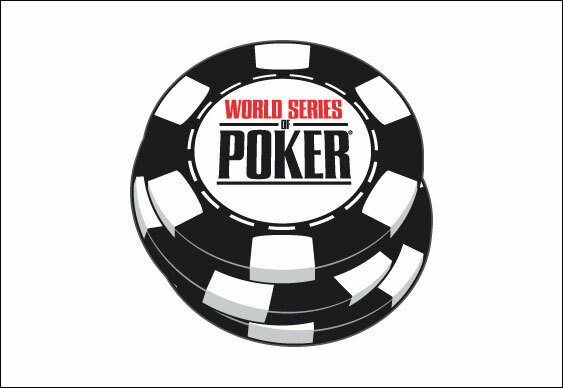 With a slew of pros all looking for a slice of WSOPE success it didn't take long for many of them to creep into the top ten at the close of play. Indeed, although Ryan Chapman ended the session with the largest stack (96,600), he'll be flanked by the likes of Fabrice Soulier (63,400), Jason Mercier (46,700) and Jeremy Ausmus (39,400).